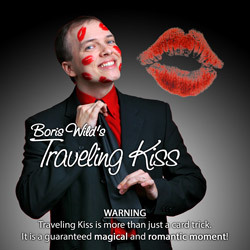 Traveling Kiss is more than just a card trick. 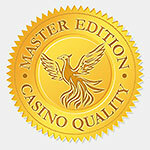 It is a guaranteed magical and romantic moment! You show several blank cards on both sides. A lady freely chooses one of the cards and places her hand over it. You will never touch this card anymore. You take the packet of remaining cards and ask the lady to close her eyes and kiss them. Immediately, a kiss appears on the top card! But this kiss is ephemeral and it disappears a few seconds later in a smooth and aesthetic move. Has it really vanished? No, because the lady blows a kiss and it reappears on the card that she has kept under her hand from the beginning! A visual and original packet trick effect. The video instructions include the explanation of Boris Wild’s famous “Kiss Count”. Takes very little space on you. Resets in a few seconds. Perfect for table-hopping. English and French instructions available online as HD videos detailing every step of the routine. You can then learn the effect everywhere by watching the explanations on any connected device (computer, tablet, smartphone, TV...).